Today in Masonic History Charles Lemon, 2nd Baronet Lemon of Carclew is born in 1784. 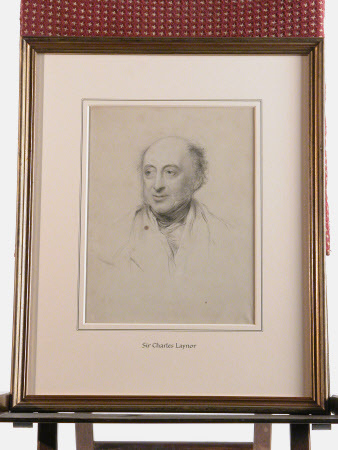 Charles Lemon, 2nd Baronet Lemon of Carclew was British politician. Lemon was born on September 3rd, 1784. He attended the Harrow School for boys. Some claim that a school has stood on the Harrow School property since the 1200's. Although the Harrow School itself was founded in 1572 by Elizabeth I. Lemon first sat in Parliament from 1807 to 1812. This was prior to his inheritance of the baronetcy in 1824 after the passing of his father. In 1822, Lemon was elected as a Fellow of the Royal Society. He would go on to serve as president from 1836 to 1838 of what is now known as the Royal Statistical Society. From 1840 to 1856, he served as the President for the Royal Geological Society of Cornwall. He would serve as President of the Royal Cornwall Polytechnic Society and the Falmouth Board of Guardians from both groups founding and until his passing. In 1827, Lemon would be elected Sheriff of Cornwall. In 1830, Lemon returned to Parliament. In 1831, he would become a Whig until the Reform Act of 1832. After the Reform Act he would become a liberal and serve until 1857. During his time in Parliament he would serve on the Transportation Committee of the House of Commons. He would also fund, after becoming the deputy Warden of Stannaries, an organization that would become the Camborne School of Mines (CSM). The CSM conducts research and teachings as it relates to the understanding and management of the Earth's natural processes, resources and the environment. Lemon passed away on February 13, 1868. Having no surviving children, all three passed away at a young age, the baronetcy became extinct. Lemon was a member of Lodge Love and Honour No. 75 in Falmouth. He was raised sometime around 1840. He became the Worshipful Master of the Lodge in 1843. In 1844, he became the fifth Provincial Grand Master of the Province of Cornwall. He resigned as the Provincial Grand Master in 1863.